So I’ve been talking a lot about cookie trays and cookie parties and cookie exchanges during my 12 Days of Christmas Cookies celebration, so are you wondering… Am I actually making any cookie trays or going to any cookie parties with my cookies? The answer is no, I’m not making any cookie trays, because I have been sharing my cookies with my friends and neighbors over the past several weeks. In fact, this past weekend, I boxed up some thumbprints and these cookies for the elderly women who live on either side of us. It warmed my heart to share my love of baking with people who could use an extra smile, especially at the holidays. I also took these cookies to the annual cookie exchange that I do with my girlfriends at work. Last year, I made spiced gingerbread cookies. Cookies from exchanges past include cherry almond date cookies and also eggnog chocolate chunk cookies. I have a history of making cookies that stay in my cookie arsenal for years to come, and this cookie is definitely no different. I loveeeee lemon. In the form of biscotti, truffles, and pie bars. But a cookie? 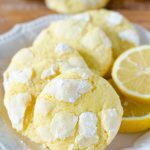 I had never made any sort of lemon cookie, and when I went searching for one, I really wanted one that did not involve any cake mixes or lemon pudding. I wanted true, natural, unadulterated lemon flavor. The juice, the zest… I wanted it all! And I found it in a recipe from Lauren’s Latest. It seemed it was going to fit the lemon bill, but I amped up the lemon flavor a bit more, because I really do feel like you just can’t ever have too much lemon flavor. 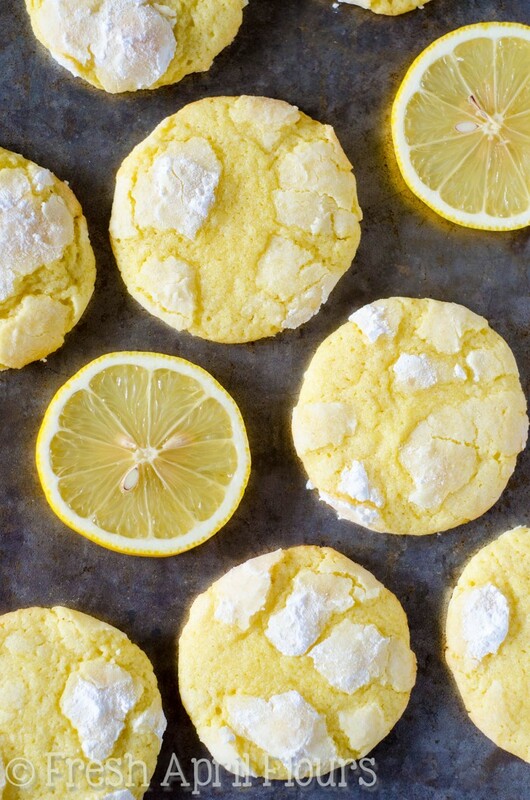 And I am so glad that I did that, because these cookies are lemony lemon and so delicious and maybe I might put our local grocery store out of stock of lemons for the rest of time because they are that good. So have you ever made crinkle cookies? I think they’re so cute and I’ve always wanted to make them, so I was happy to see that Lauren’s recipe was a crinkle cookie. Are you wondering what a crinkle cookie is? It’s pretty much a basic cookie, but the dough gets rolled in powdered sugar before it gets baked. 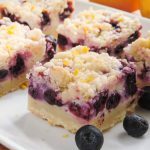 As the dough bakes, it flattens out and the surface cracks, exposing the dough under all that powdered sugar and leaving patches of white powder on the tops. Crinkles! They’re just so darn pretty. The batter for these cookies is super uncomplicated. 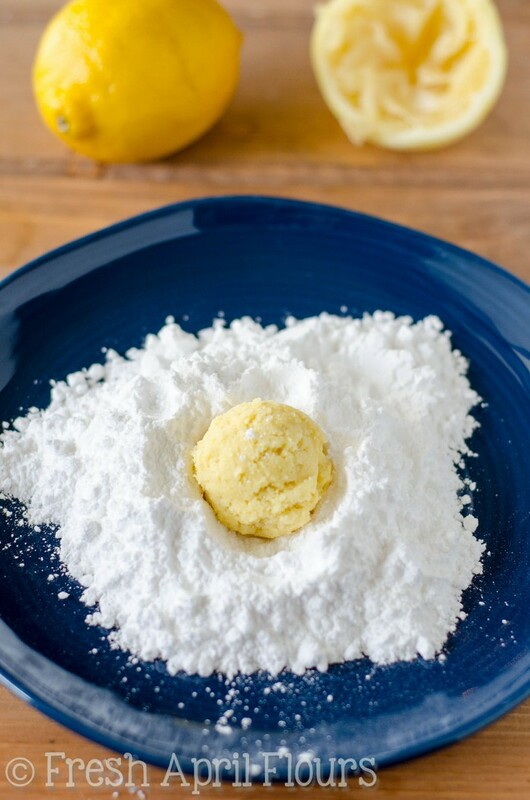 We’ve got the usual suspects (flour, sugar, butter, etc), but we’re using almost all of the lemon! The whole zest and a Tablespoon and a half of the juice, freshly squeezed. I actually added a few drops of yellow food coloring to my cookie batter to make them extra yellow, but this is 100% completely optional. You’ll need to refrigerate your cookie dough, but only for an hour. Guys. These cookies are so good. 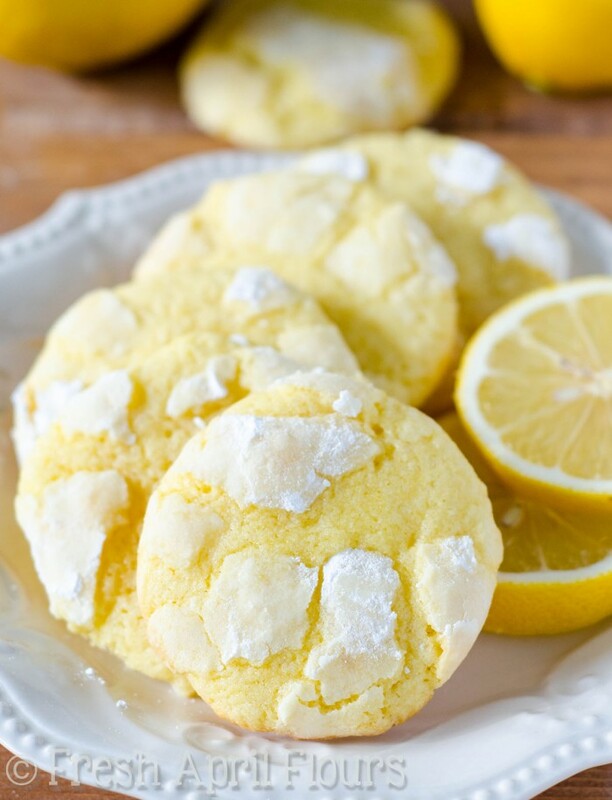 At first bite, the powdered sugar coating melts in your mouth, and once you sink your teeth into the actual cookie– mannnn oh MANNNN the lemon flavor just completely takes over. 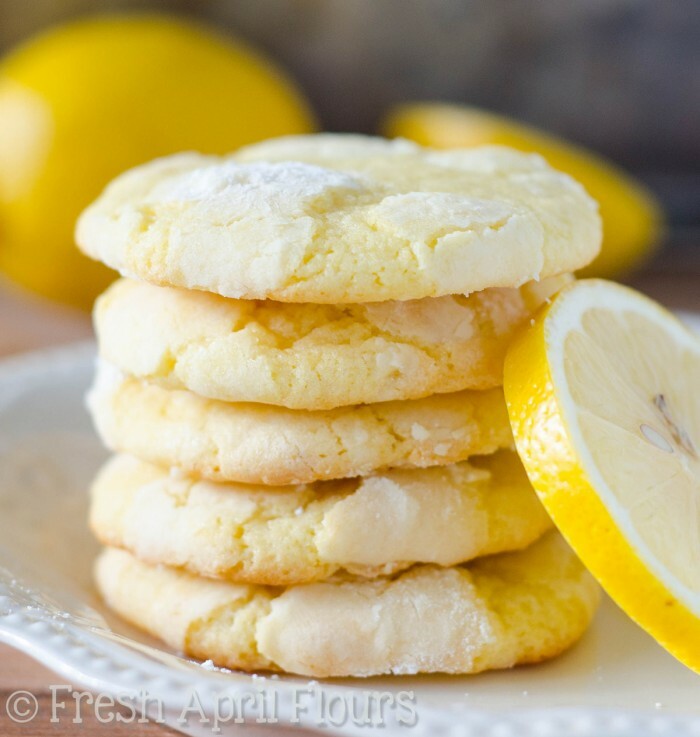 They are pretty sweet, given all of the sugar involved on the inside and the outside of the cookie, but the lemon flavor is tart and bright and blends so well with all that sweet. 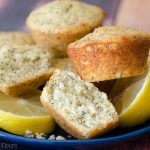 The centers are soft, the edges are slightly crispy, and each bite is packed with so much lemon flavor. 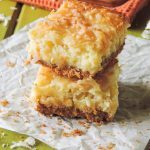 They really remind me of lemon bars, but without all the gooeyness and crust. I am a big fan of these cookies that can last year round, and I’m betting this would be a perfect cookie for the summer time! We are expecting a little Junebug next summer. I’m thinking this will be my best recipe yet! ???? Now get to baking, my favorite cookie monsters! We’re almost done with our 12 days! Do you have a favorite yet? 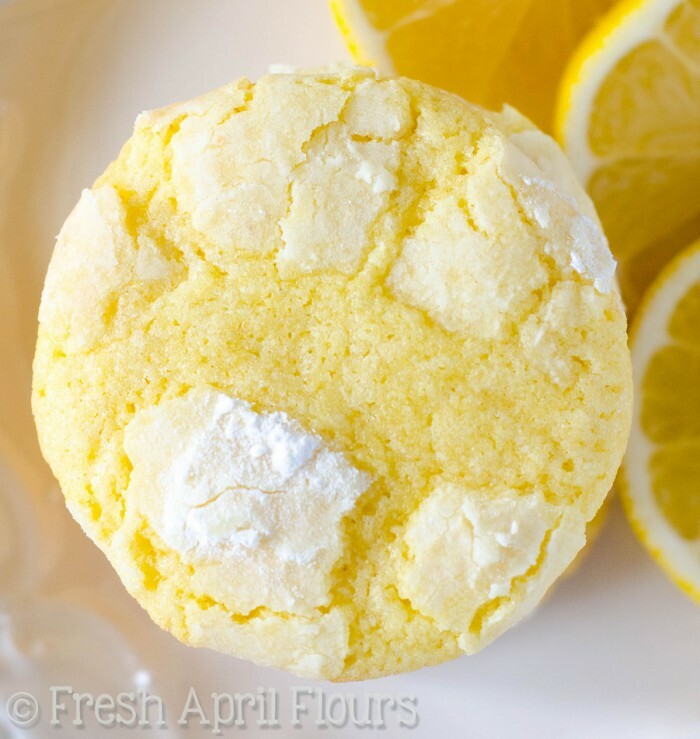 Sweet and tart crinkle cookies bursting with bright lemon flavor. 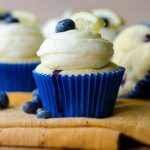 In a large bowl with a hand mixer or the bowl of a stand mixer fitted with the paddle attachment, cream the butter and sugar together until light and fluffy (approximately 2-3 minutes). Beat in vanilla, egg, lemon juice, and lemon zest. Scrape down the sides of the bowl with a spatula as necessary. *It is always a good idea to use room temperature egg when using room temperature butter. It incorporates into batter much more easily. HOORAAAAAY for BABY APRIL and HOORAAAAAAAAY for delicious lemon crinkle cookies. 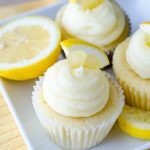 I am a lemon addict – I’ve been known to eat them straight (don’t tell my dentist) – and just CANNOT say no to anything with fresh lemon in it. I’m definitely going to be making these soon!! Haha! Matt does the same thing– eats them right up! I… Can’t QUITE do that, but sometimes I make lemon things JUST so we can have rinds and leftovers for putting into water. WHY ARE LEMONS SO DELISH?! I made these on Saturday, along with Sally/s chocolate crinkle cookies. Crinkle cookie Saturday, sounds like it should be one of those national days. Everyone loved the Lemon cookies. Even my stepdaughter who is a chocolate lover at heart loved these. Thanks for a lemony recipe that didn’t call for lemon extract. (because I didn’t have it in my cabinet) Congratulations to you & Matt on baby April. Merry Christmas to you and your family. I’m so glad to hear that, Courtney! Thanks for letting me know. And thank you for the well-wishes 🙂 Merry Christmas! Hi Lynn! I’m fairly new to your blog, but it’s high time I did leave a comment. First of all, warmest congrats on Baby April!! So happy for you, and so glad the sailing has been smooth so far. All the best! Second of all, the first thing I made from your cookie arsenal was the cappuccino cookies… and they are now firmly installed in my arsenal as well. They definitely get made whenever certain friends come to visit. 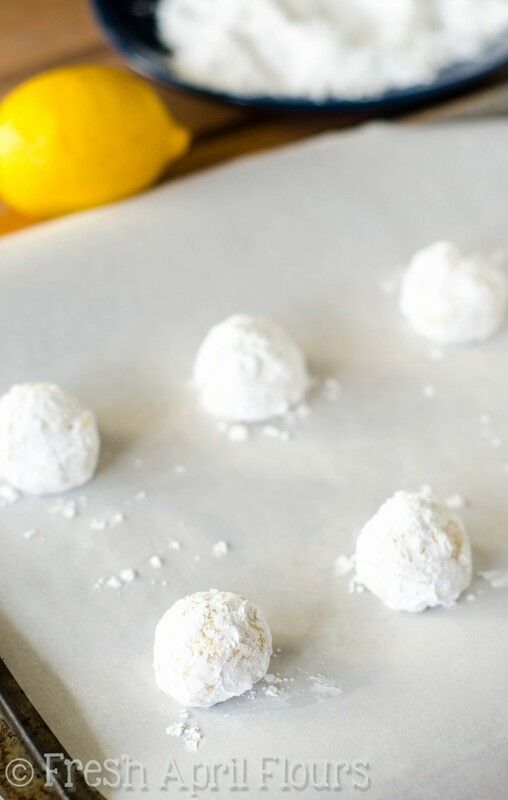 And now these lemon crinkles…. Swype wanted to say “crimes”, which may not be too far off! They are amazing! Lemon is one of my favorite flavors too. Yes, these will also be great for the spring and summer. Thanks so much!! Orange crinkles! I guess I wasn’t very clear on that. 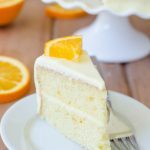 But orange IS one of my favorite flavors ever, and this baby boy is loving citrus these days, so I have no doubt there will be some orange/lemon/grapefruit business coming in the next few months! Hahaha whatever citrus business you come up with is bound to be delicious. Thanks, and Happy New Year! Oh wow these are good! I didn’t have lemon zest so I just added 2 tablespoons of lemon juice and it was so tasty! 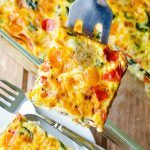 Thanks for sharing this simple but amazing recipe! I made these cookies but mine didn’t crinkle or cracked. I follow recipe exactly as written. I’m sorry to hear they didn’t turn out for you. I’ve had many, MANY people make these cookies and no one has ever reported anything but great reviews. 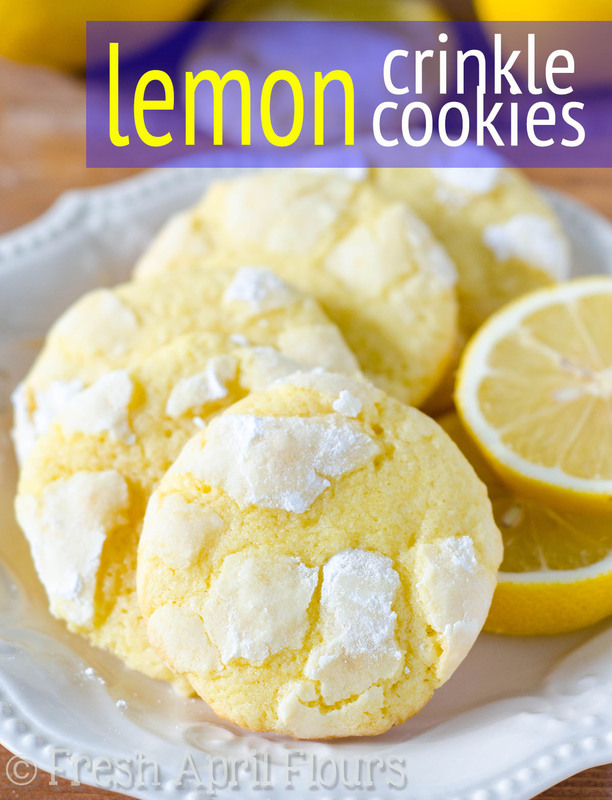 I love anything lemon.These cookies are really easy and fabulous.I was warming up eggs in my bra,I know why I have never done that before.I forgot they were in there and i wacked myself with refrigerator door.Anyhow i had to clean myself up a bit and eggs werent room temp but worked out fine anyway.I will plan ahead a bit instead of using my great ideas.I still think it was a good idea. You are NOT the first person I’ve heard say that! It’s a great idea! Hahaha! Ok, I just made these a couple weeks ago, and am making them again now. I did not have fresh lemon’s or zest, so found out I substitute 2 Tbs of lemon juice for 1 tsp. of zest! They are one of the best cookies ever. I know if you want more lemon flavor, the zest probably brings out the stronger flavor. I also use the Italian Volcano lemon juice from Cosco, which comes in a 2 bottle package for about $8.00. 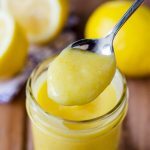 it is such a good pure lemon juice which we now use all the time. 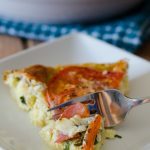 Thank you for this very good recipe! We appreciate it! Many liked my cookies, thanks to you! 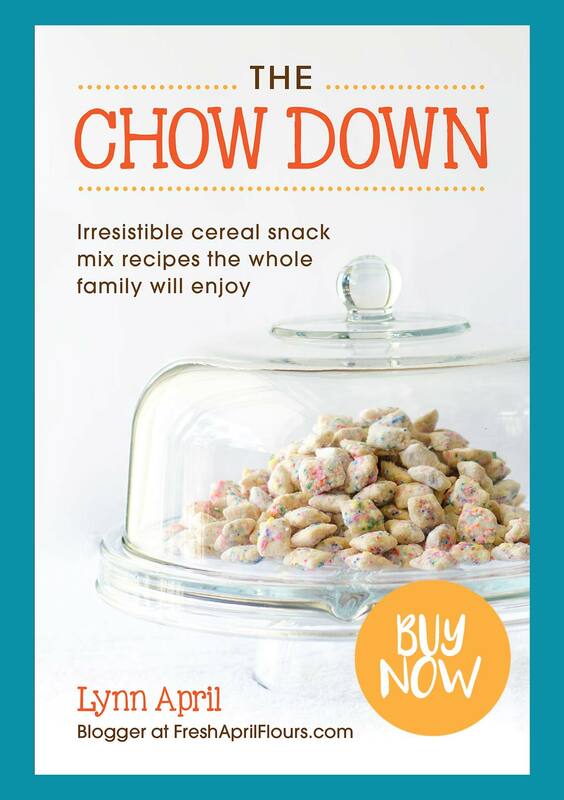 Hey, I just came upon this recipe and decided to make it tomorrow with the rest of my Christmas cookies this year! 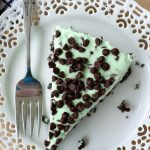 My sister is allergic to chocolate, so I’m always happy to find recipes she can enjoy too. Not to mention I am a complete citrus fruit addict. I won’t try it for Christmas, since my list is already so long, but I’m itching to try tweaking this recipe for other citrus fruits as well! Green for lime, orange for oranges, reddish orange for blood oranges, pink for grapefruits! The possibilities are endless! Lol. Thank you for your recipes and your hard work! Hi, Victoria! I actually did make them in orange too, but I found I had to do a bit of tweaking because oranges are much wetter than lemons, haha. 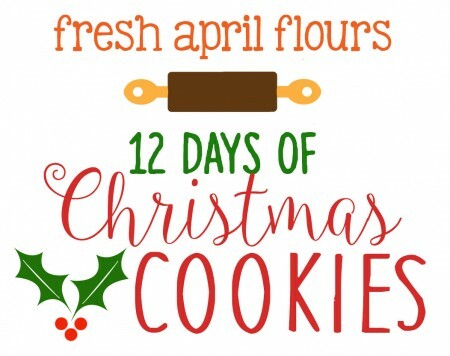 You can find that recipe here: https://freshaprilflours.com/2016/12/09/orange-creamsicle-cookies/ Thanks for visiting! My cookies are flat. Any ideas? 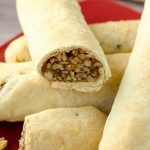 Butter too warm, oven too warm, didn’t chill the dough long enough… I’ve had many many readers make these cookies, and I myself have made them plenty of times, so without being there with you, there’s no way for me to tell you what went wrong. These look amazing! Is there anything I can sub the butter for without changing the outcome? Hey, Liv! Unfortunately, I’ve never made these without butter, so I can’t advise. 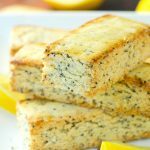 If you’re comfortable using butter substitutes, I encourage you to try it out and let me know how it goes! Hi! 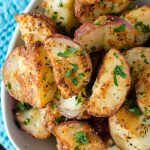 I’ve been using your recipe for multiple times already and all the people I’ve given them to absolutely LOVED them! Thank you so much for sharing this! All the cookies had that perfect lemon kick. I made another batch last night and they turned out quite flat on the lemon “kick” I used to be able to achieve before. The only tweak I did was to substitute a bit of granulated white sugar with brown sugar because I ran out. I did the lemon juice and lemon zest right but I’m still wondering which part I went wrong. Could you please help me figure out where I went wrong? How can I get that lemon “kick” back? Really looking forward to your reply! Hey, Thezza! So glad you’ve been enjoying these cookies. I’m not sure I can tell you exactly what went “wrong” this time, because it could really just have everything to do with the potency of your lemons. I doubt swapping sugar would make much of a difference, so I would say it was just a fluke. Hopefully next time is back to normal! These cookies are delicious!! My first batch didn’t quite look the same because the powdered sugar baked right into the cookie. SSI the next batch I rolled in granulated sugar then rolled it into the powdered sugar and they looked just like the picture. Thank you for the recipe! Thank you for this recipe. I actually use it as a base recipe, and sub the lemon flavoring agents out for mint extract and creme de menthe, and fold in some white chocolate chips to make a mint vanilla crinkle. It was really hard to find a non chocolate crinkle recipe so this was great! I love that remix! Thanks for sharing, Lauren! I just made these, followed the recipe exactly, but mine hardly flattened at all and the bottoms are all burnt! Any idea what went wrong? I’m really not sure at all, because I’ve made these several times without issue. I even made an orange version and that one came out beautifully as well! I made these cookies but added a 3/4 teaspoon of lemon extract. They were absolutely delicious! Next time I will make a double batch. Thanks, Lori! I’m so glad you liked these cookies. If you’re interested in an orange version, I have that here.